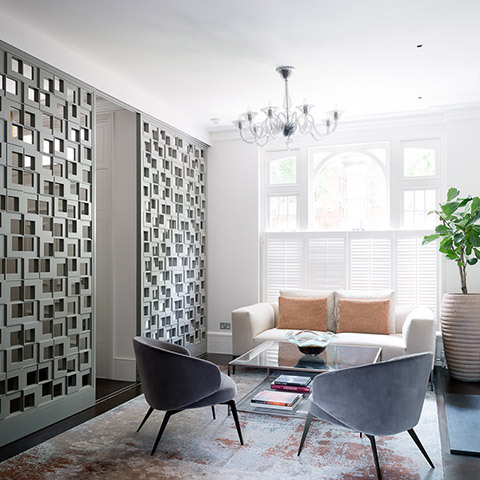 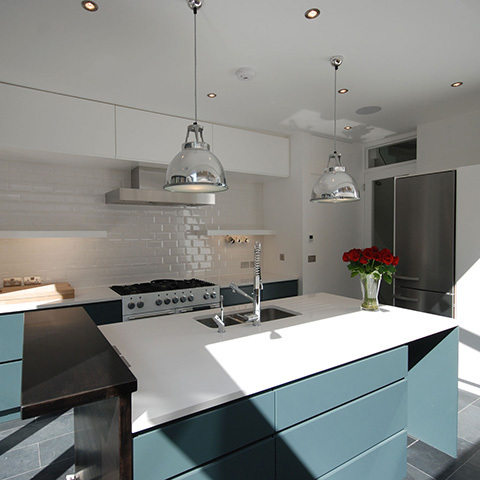 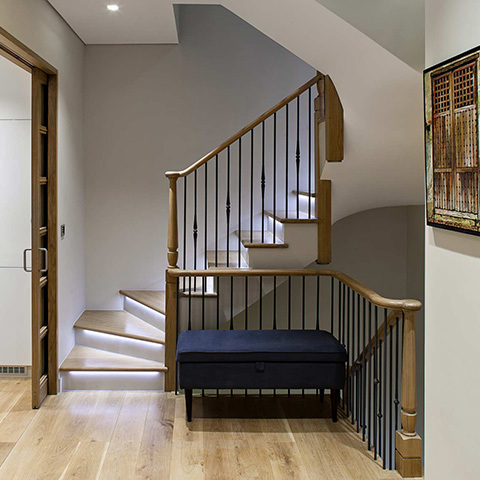 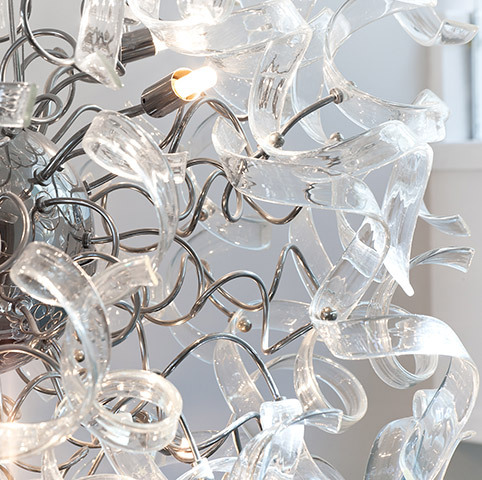 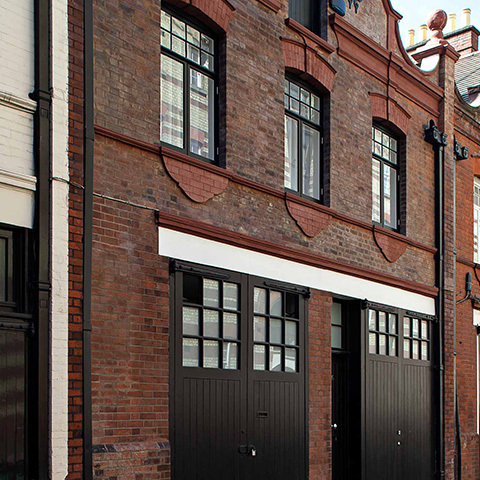 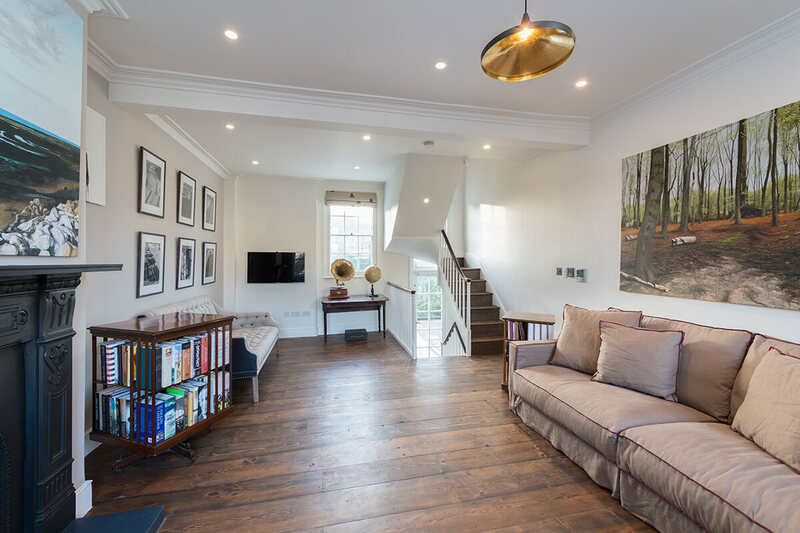 Our brief: the restoration of this 4-storey Georgian Town house into a stunning contemporary home with its unique, original features retained and enhanced. 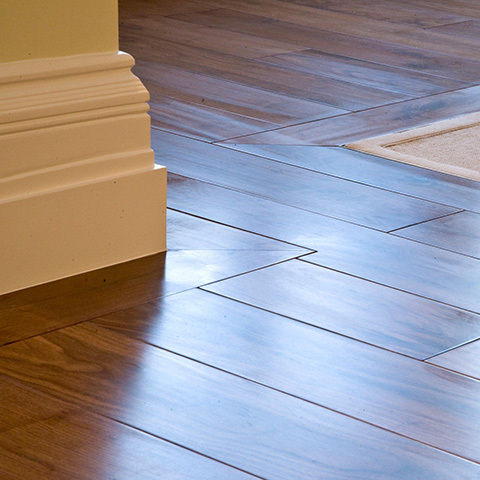 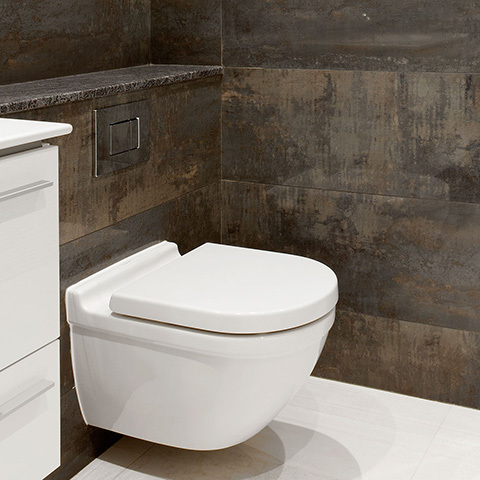 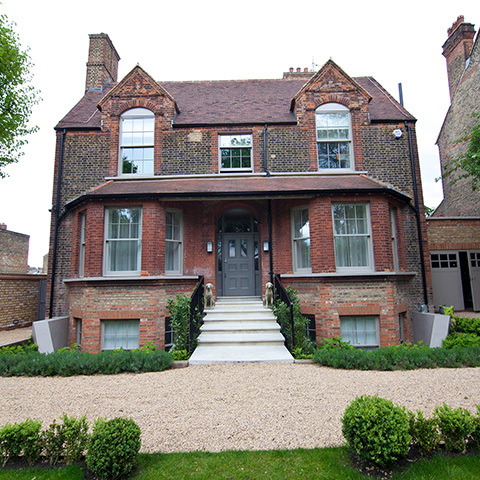 The property was in need of complete renovation. 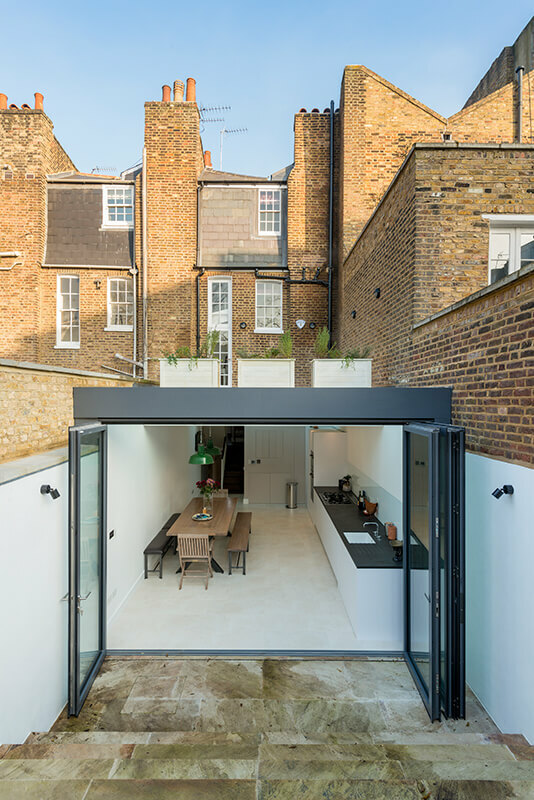 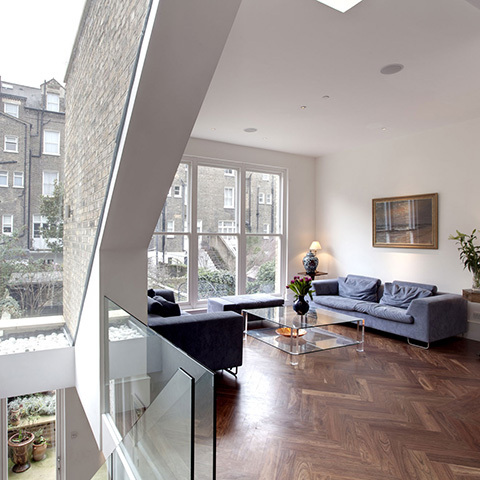 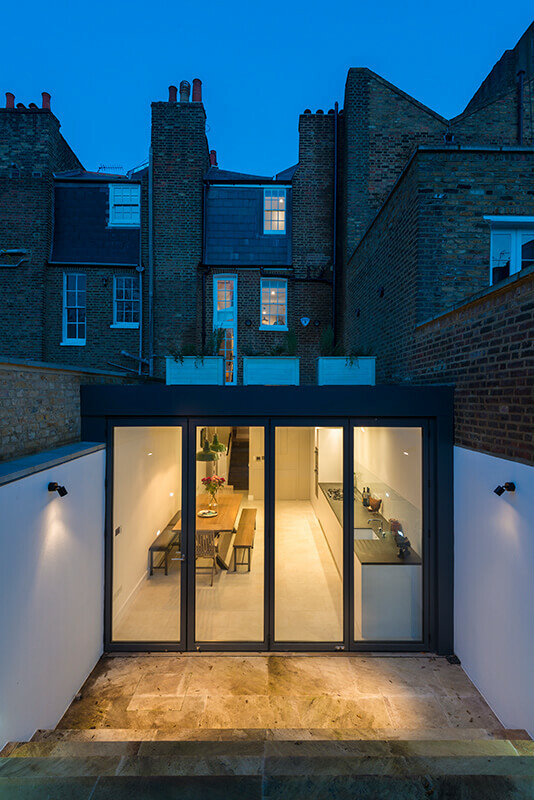 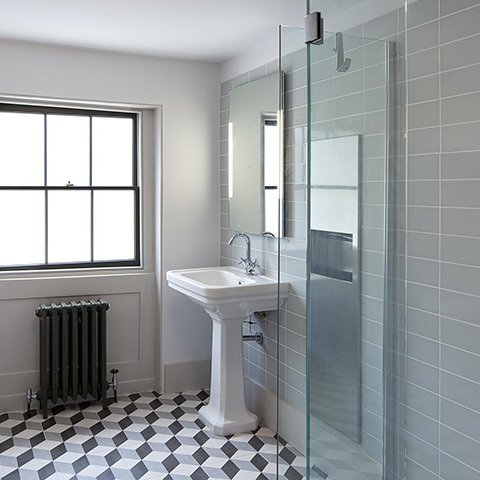 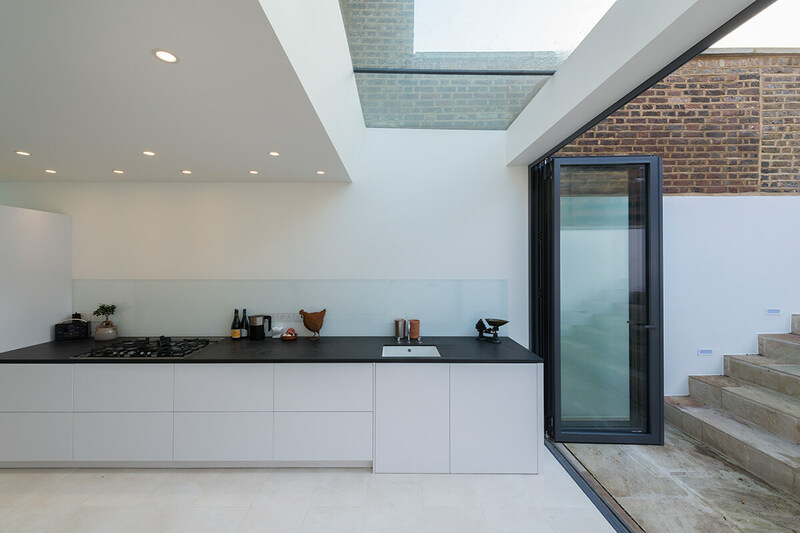 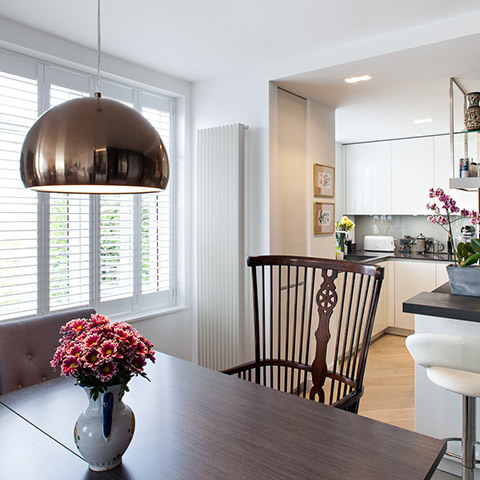 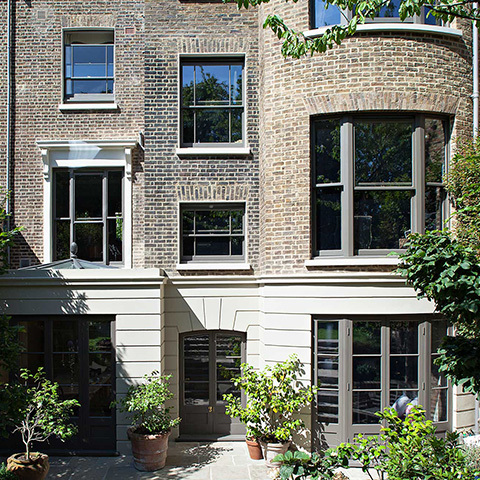 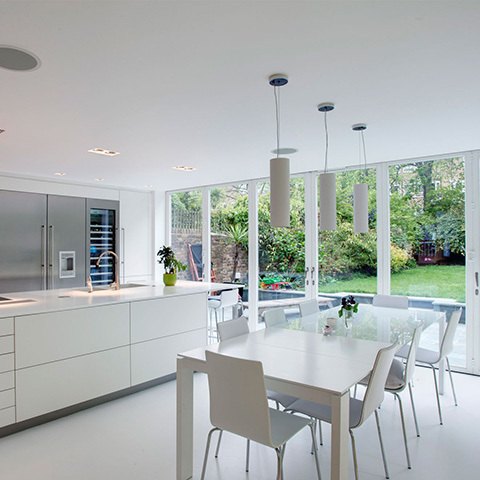 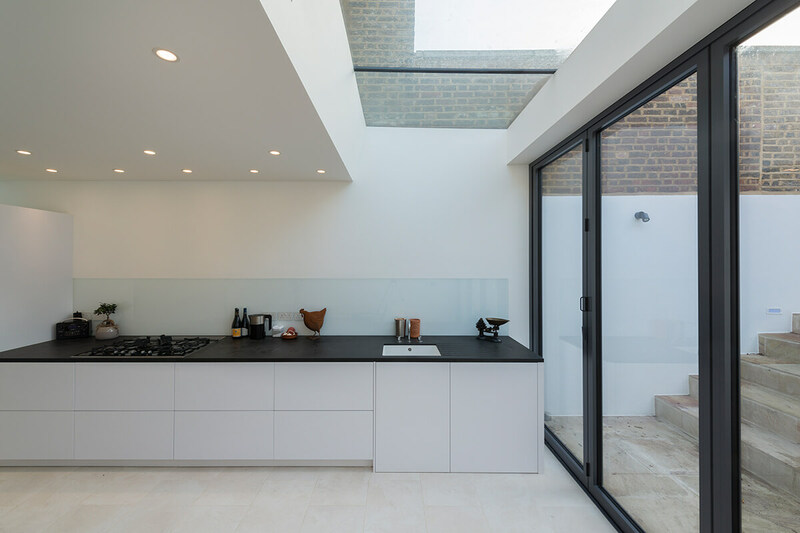 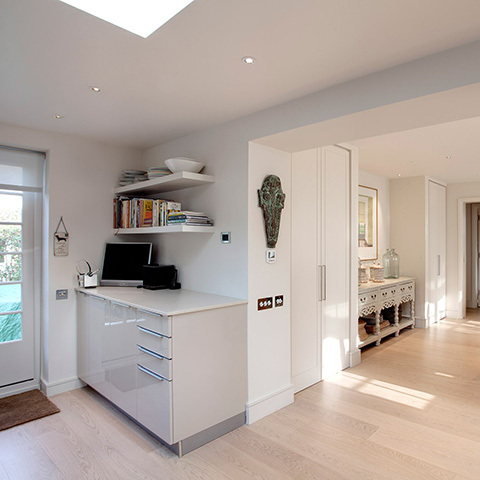 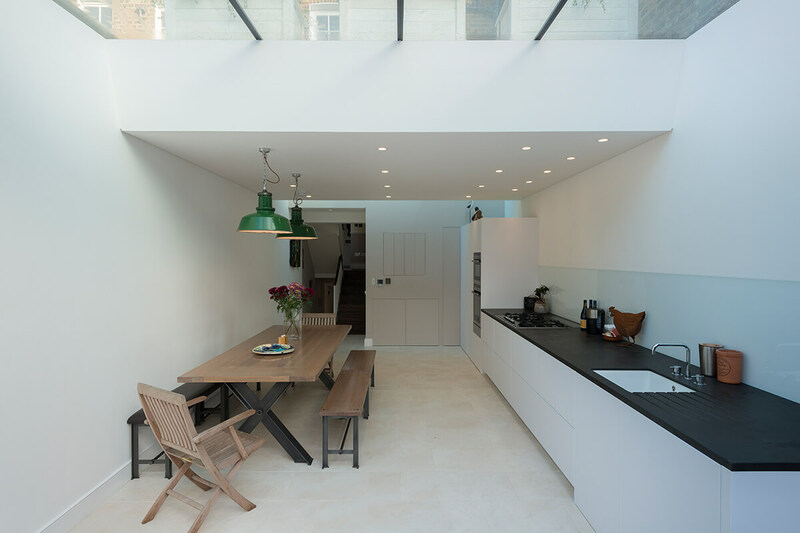 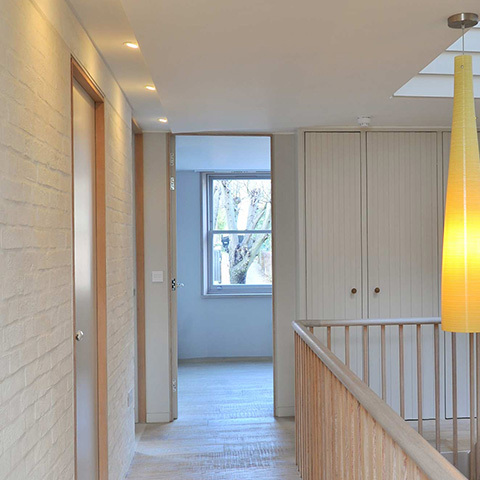 This included the extensive underpinning and excavation of the basement which benefitted from the installation of a cavity drainage system, and a new rear extension with roof terrace and walk on glazing above; the ensemble has created a stunning, comfortable and habitable property which has some very contemporary, on trend features while its period style and grace have been retained. 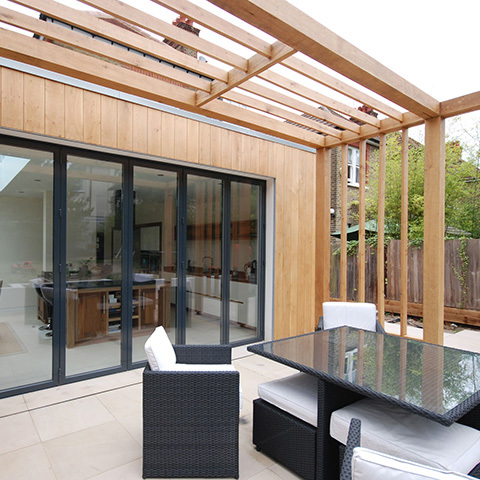 Externally, the bespoke glazed garden room is the perfect extension in the newly landscaped garden and patios and adds a dramatic conservatory to the property’s living space. 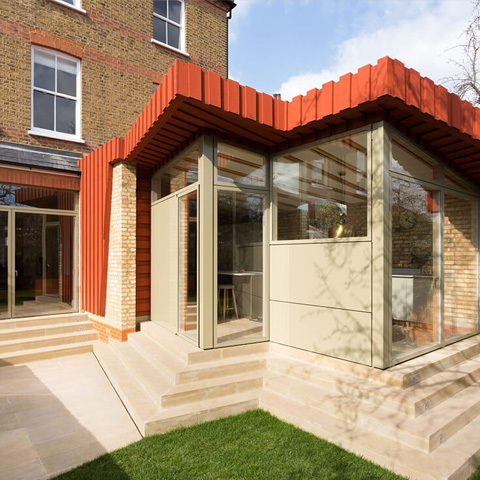 Meanwhile the installation of a rain harvesting irrigation system maximises the natural elements afforded by a changeable climate. 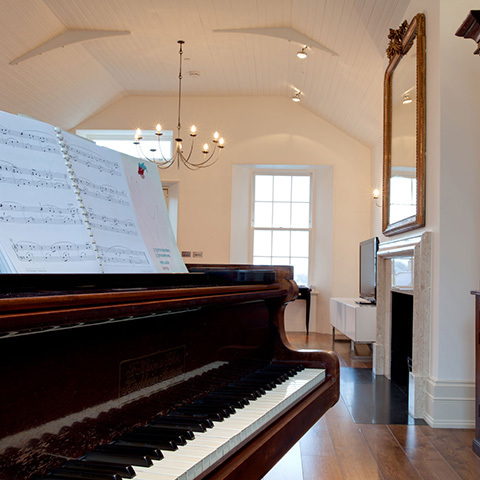 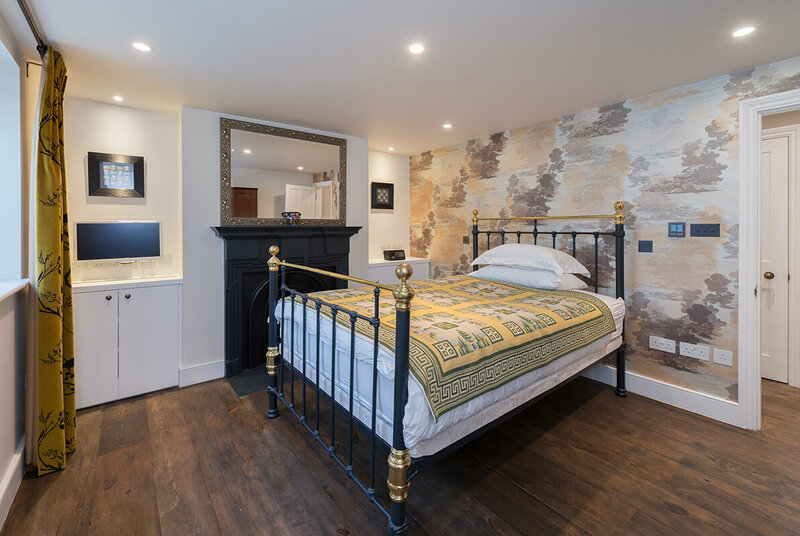 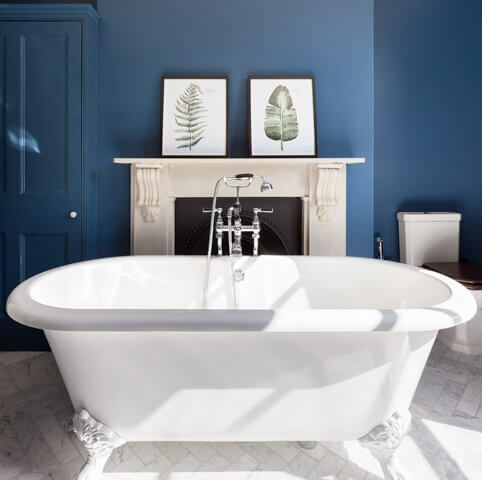 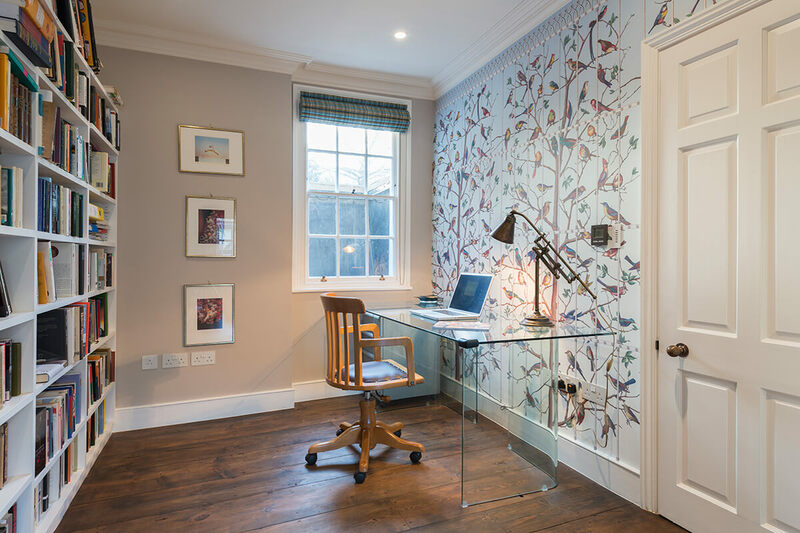 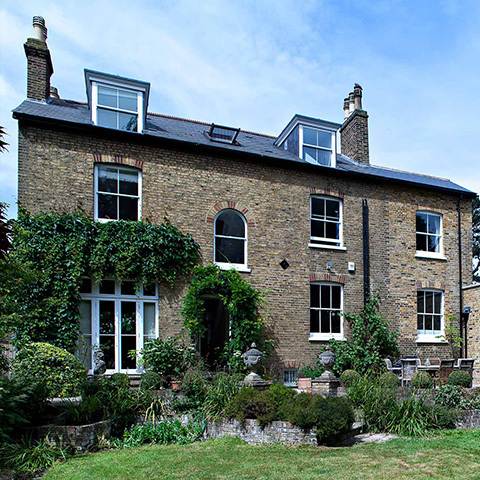 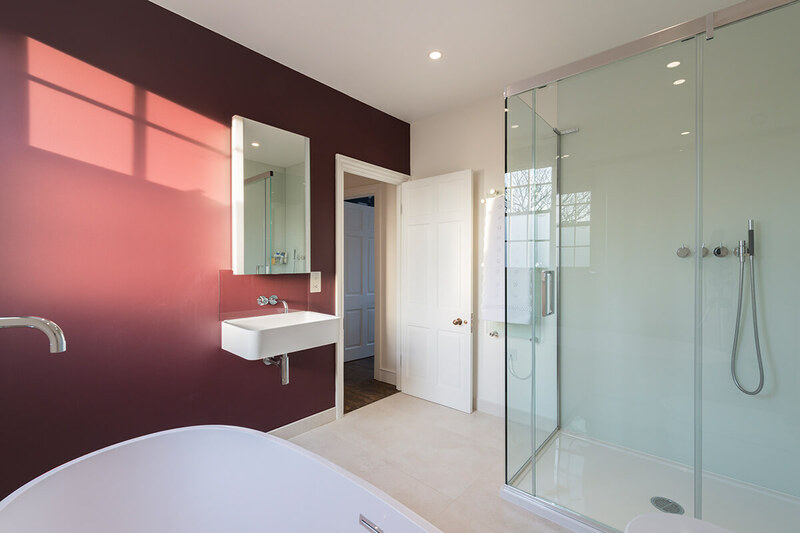 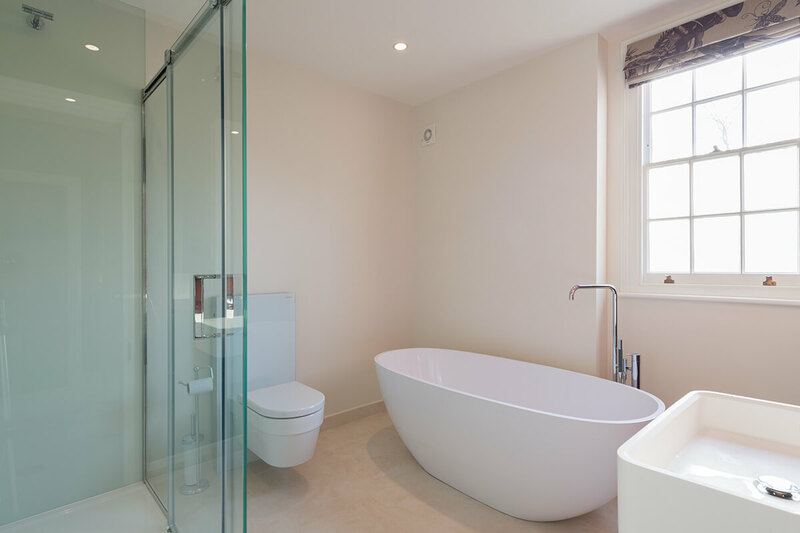 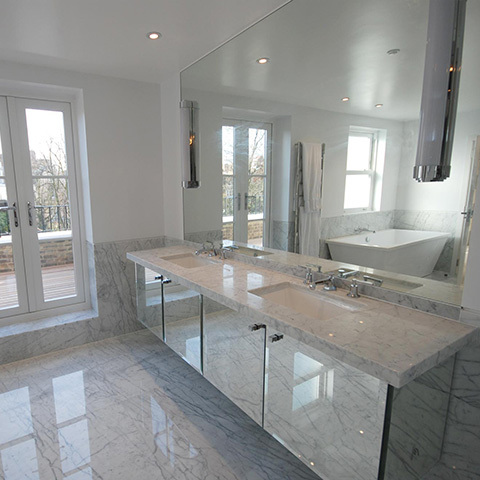 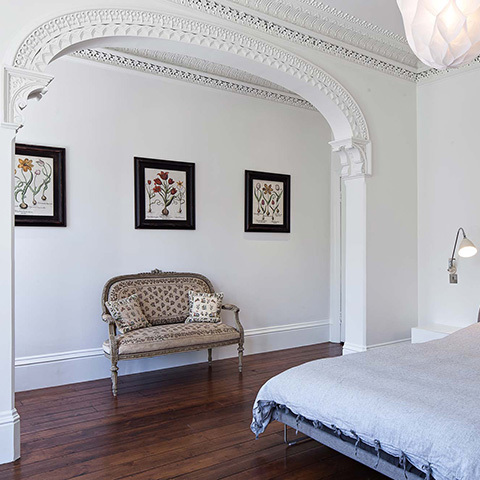 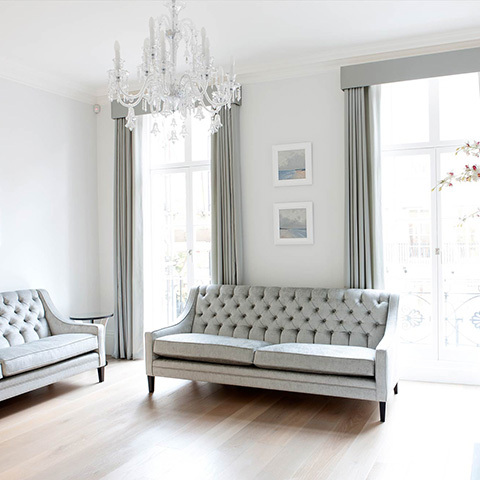 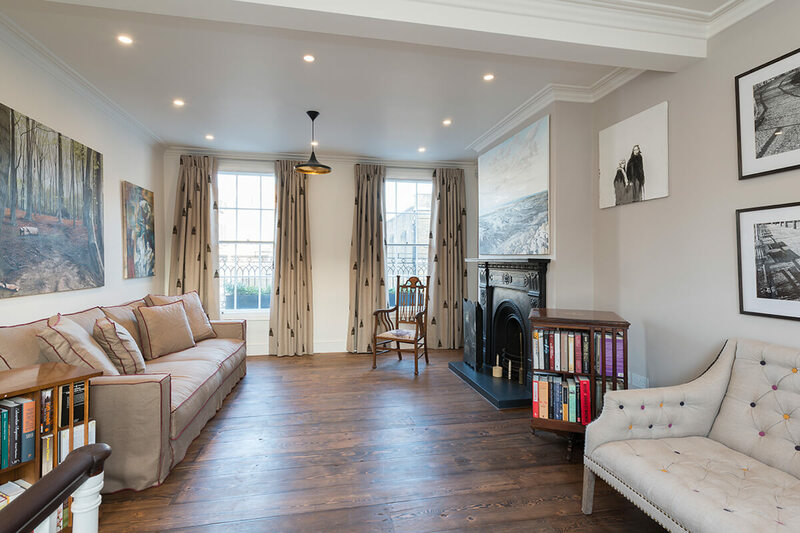 Internally, the total refurbishment and renovation of original period features involved customised joinery, stone and plasterwork to refurbish the windows, fireplaces, architraves, cornices, doors, wooden flooring and staircases throughout the property. 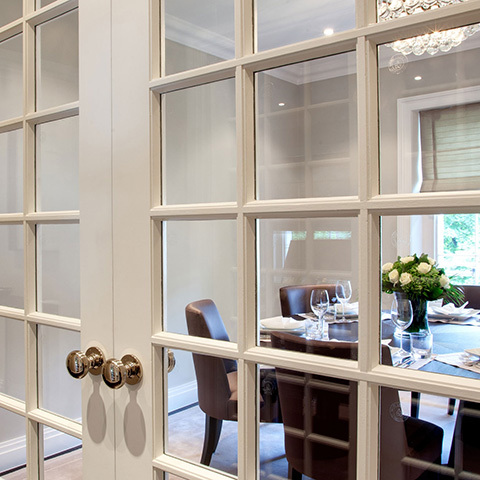 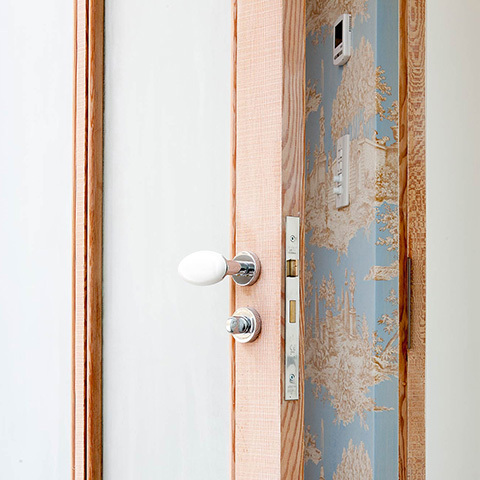 Bespoke bookcases and wardrobes were individually crafted and the highest specifications and attention to detail are visible in every aspect of renovation and building work undertaken. 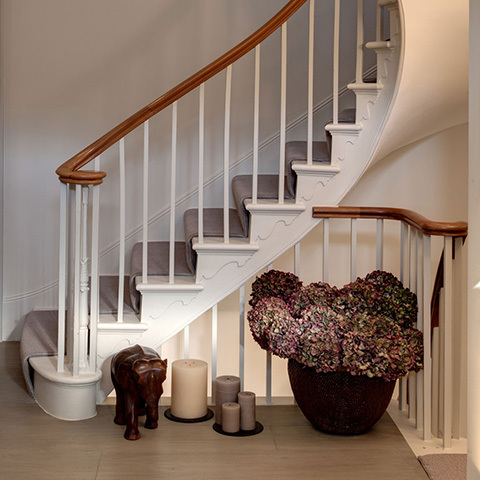 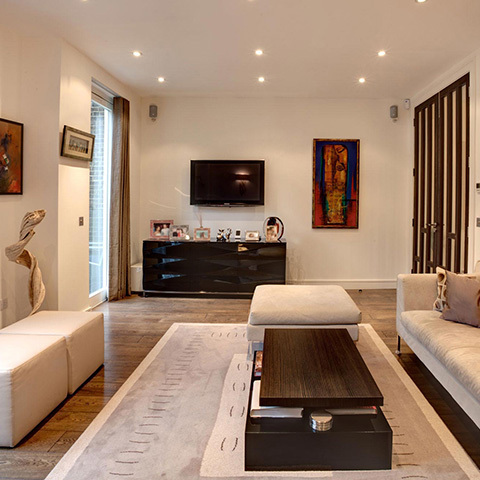 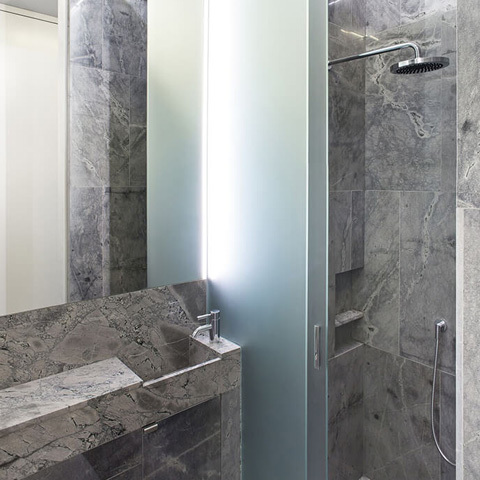 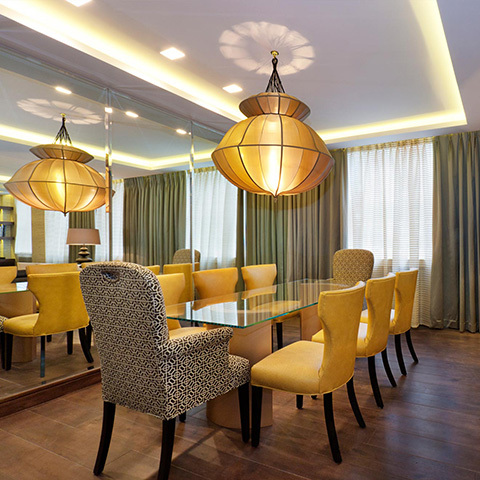 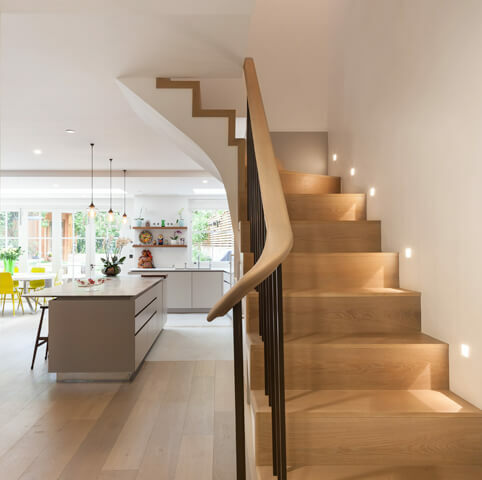 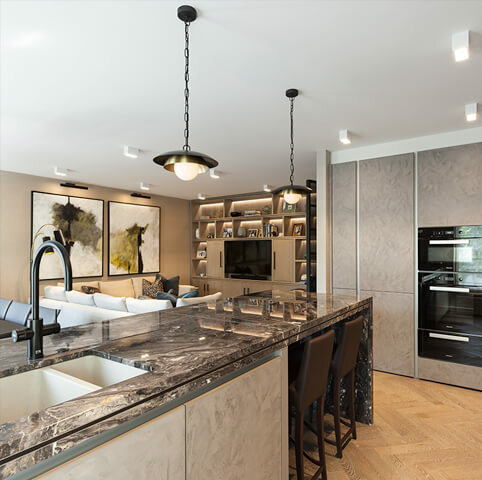 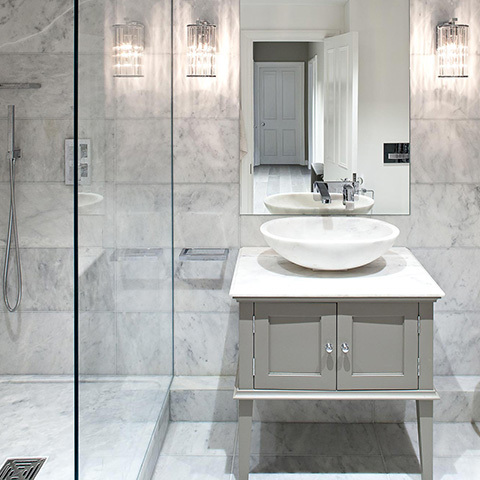 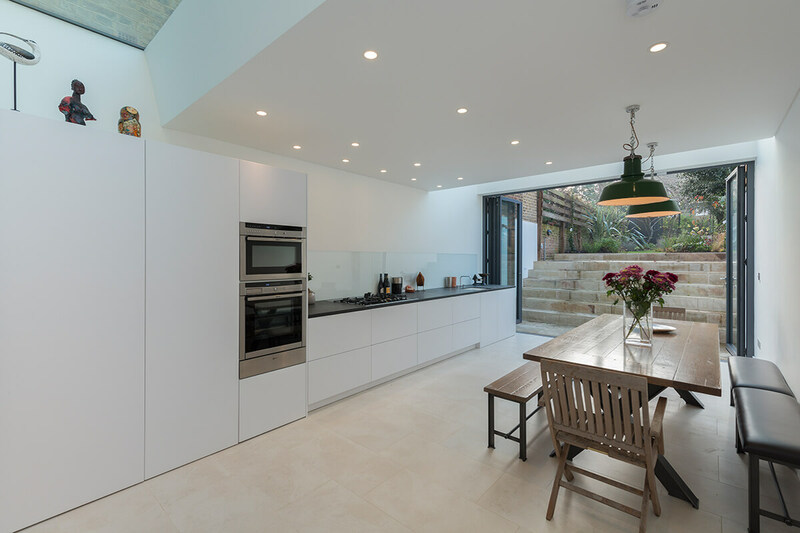 The state-of-the-art Lutron controlled mood lighting system adds to the elegant ambience and interior finish of this stunning property, now a proudly rejuvenated modern family home.